If you have any questions about the RHEA information page below please contact us. This motor yacht RHEA is a superyacht of capacious proportions. This 41 m (136 ft) luxury yacht was made at Stone in 1943. RHEA is ex the project or yacht name Ams 52 (Usn); Ams 299 (Usn); Yms 299 (Usn). The naval architect responsible for her plans and general arangement in respect of this ship is Us Navy. The yacht's general design work came from Us Navy. The formal naval architecture intellectual property are a work of Us Navy. In 1943 she was actually launched to accolade in Alameda Ca and following sea trials and detailing was afterwards delivered to the new owner. Stone completed their new build motor yacht in the United States. Her hull was crafted from wooden. The motor yacht main superstructure is fabricated mostly with wood. With a beam of 7.53 m / 24.7 feet RHEA has reasonable room. She has a fairly shallow draught of 2.44m (8ft). The motor yacht is installed with twin efficient GM main engine(s) and can accelerate to a dignified top continuous speed of approximately 12 knots. The main engine of the ship creates 500 horse power (or 368 kilowatts). Her total HP is 1000 HP and her total Kilowatts are 736. RHEA is propelled by twin screw propellers. 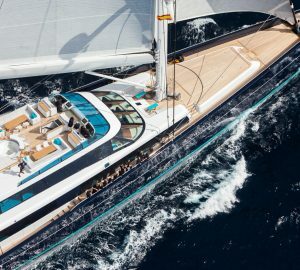 The luxury yacht RHEA displayed on this page is merely informational and she is not necessarily available for yacht charter or for sale, nor is she represented or marketed in anyway by CharterWorld. This web page and the superyacht information contained herein is not contractual. All yacht specifications and informations are displayed in good faith but CharterWorld does not warrant or assume any legal liability or responsibility for the current accuracy, completeness, validity, or usefulness of any superyacht information and/or images displayed. All boat information is subject to change without prior notice and may not be current.